Pain! Punches! Hunger! 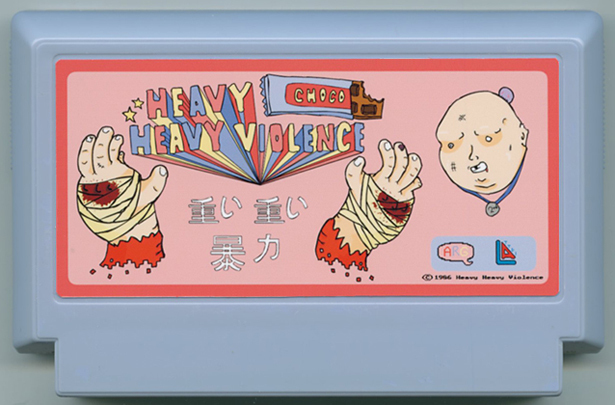 Heavy Heavy Violence is a two-player co-op beat-em up from the 80’s featuring two overweight hitmen. Andy and Johnny are overweight hitmen, who give up the tough guy act to be fat. Getting free eats for cleaning up the town is sweet, but goes sour when the Mayor sends his army of goons, cutthroats and pimps to rule the Clydepia Town in fear. These riotous fat dudes won’t stand for it or possibly won’t stand due to being fat. The fatter you are the stronger you are! If it isn’t nailed down it can be eaten by Andy and Johnny including defeated foes. Hot dogs, milkshakes, cars, small dogs and more can be lifted from the background and eaten. The more they eat the bigger they get with more powerful attacks. Pull off super attacks like the belly flop and mega fart. Pull off the devastating co-op attack triple bypass. Save the town and save you snacks!